Rugs have the power to transform a room, which is one reason our 2017 collection features more options than ever before. More sizes. More styles. More colors. From plush, sink-in-soft rugs to flat-weave designs that make it easy to pull out dining chairs , we offer rugs to fit every need. And if you have a challenging space, most of our rugs are available in custom sizes. We design our rugs to work together, making it easy to fill open floor plans, and to work back to the colors of our upholstered furniture and wood pieces. The three rugs featured below stand alone gracefully and also complement one another for a cohesive look throughout your home. Our favorite cozy sweaters provided the starting point for this rug. 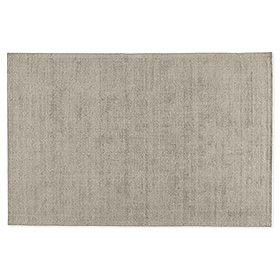 Handwoven from natural, heathered yarns, Wallace, shown here in grey, has a nubby, pliable feel and inherent texture. The wool/cotton blend combines durability and comfort at a lasting value. Inspired by vintage silk rugs, we created a variegated color effect by hand shearing random loops from the pile of this rug. The result is a tonal, modern look with depth and texture. Wool-blend yarns are hand tufted for a low-profile, yet plush, finish. Glenn is shown here in cement. Shown in taupe, Marquise puts a modern spin on ancient Turkish geometric patterns by exaggerating the scale and adding floral elements. 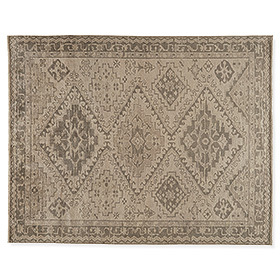 This wool rug is made by experienced artisans who tie one knot at a time. It is finished with a wash to add slight color variations and vintage appeal. Check out our rug guide for tips on finding the ideal rug for your room, from choosing the right size to placing it under your furniture. 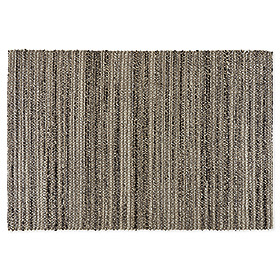 Plus, we offer rug samples for a refundable $25 each, so you can see how the rug would look in your home.